It’s common knowledge that a magazine giveaway is a great way for publications to increase their perceived value and drive up sales. While browsing the shelves recently we saw these great examples. Why is this magazine giveaway effective? 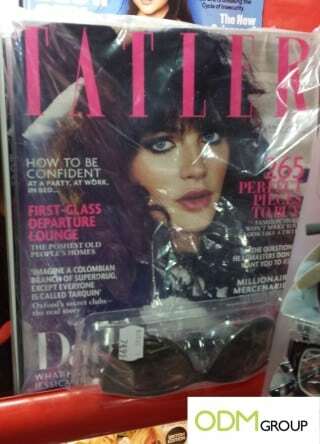 Tatler and Cosmopolitan can be seen here offering items as free gifts attached to their magazines. Items such as sunglasses and tshirts are effective gifts to giveaway as they have a higher perceived value due to the many high end sunglasses and tshirts out there. This is also effective as everyone loves to receive free items, and can easily convince themselves that they would’ve bought the magazine regardless of the free gift. People love getting a good deal. 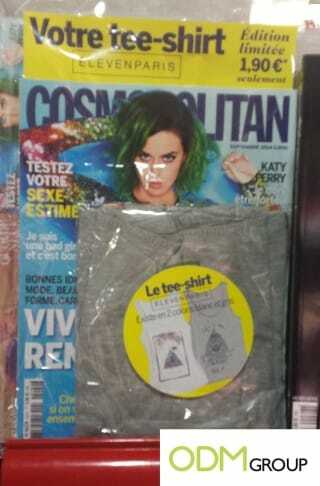 Here Cosmopolitan can be seen to offer a tshirt as a magazine giveaway. This is in collaboration with the apparel brand ELEVENPARIS. Obviously a tshirt is an extremely cheap item to produce and this collaboration is a great way to spread brand awareness for this apparel company effectively with its target market. By offering both white and grey options, the brand creates the opportunity for customers to purchase more than one copy to receive both gifts. 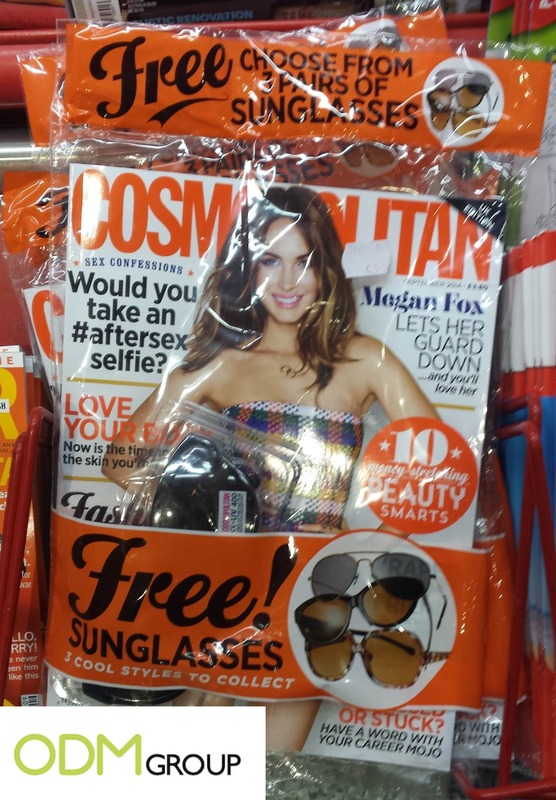 Cosmopolitan can be seen here to offer 3 different styles of sunglasses as a magazine giveaway. 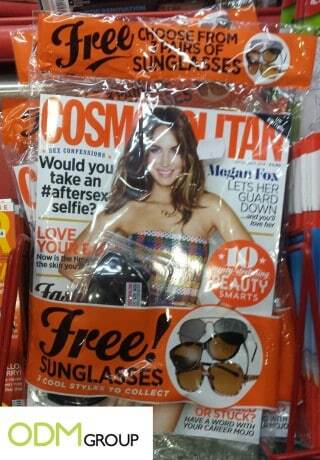 This, they hope, may persuade some customers to purchase more than one copy of their magazine. This also offers a better selection to the customer should they not like one of the designs. This may even drive up interest in the giveaway, should one of the glasses become more sought after than the other designs. Offering 3 designs of one item and having the best of the designs only available in very low quantities could even drive social media interest in the promotion.